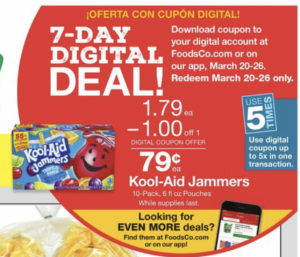 Foods Co Deals Week of 3/20-3/26 $.79 Kool Aid Jammers! 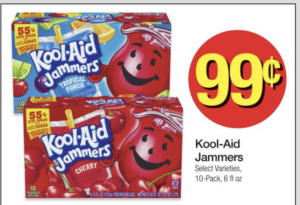 Foods Co has Kool Aid Jammers for $.79 per box of 10! 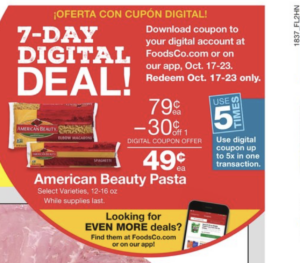 You will need the Foods Co App. 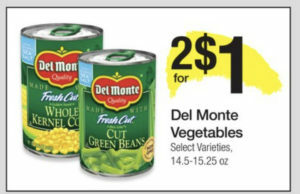 Then load the offer to your account. 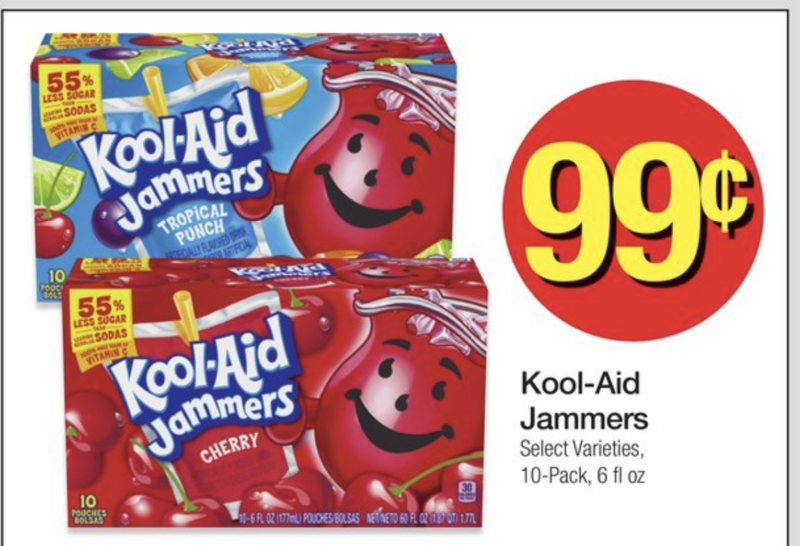 =$.79 up to 5 boxes! 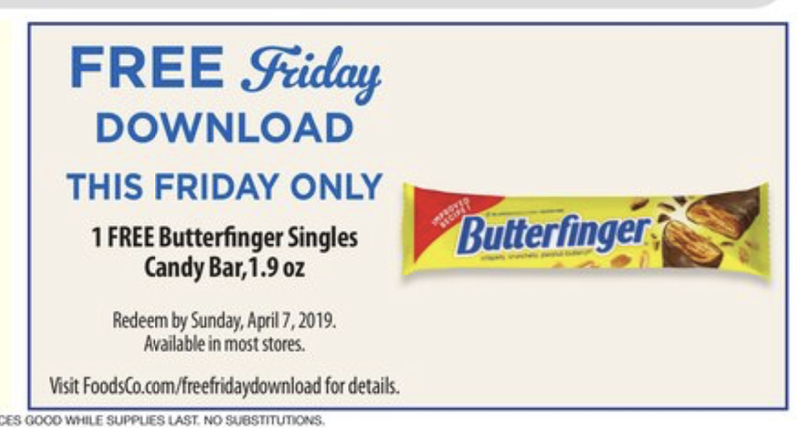 Every Friday there is a Digital Download available for a FREE item! 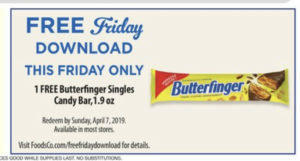 This week it is a Butterfinger! 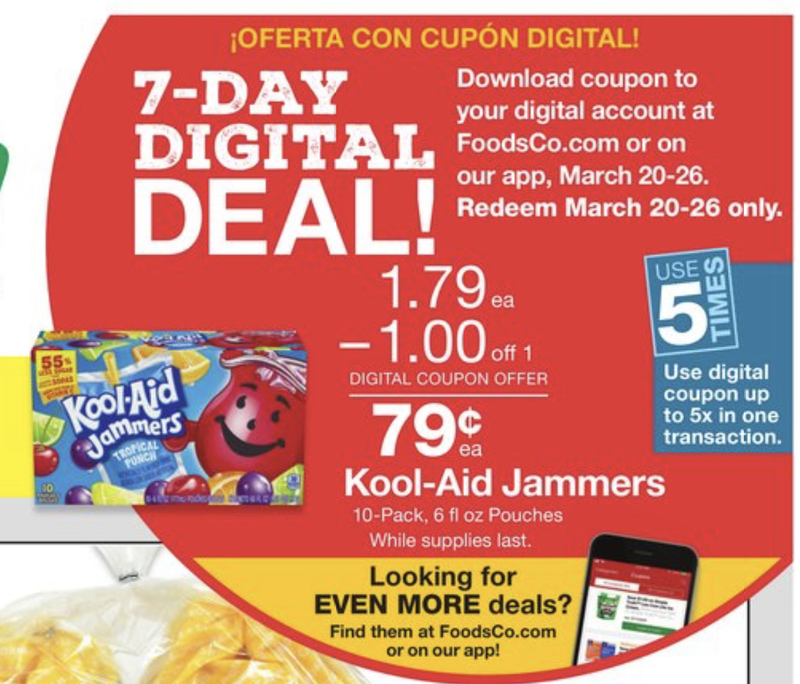 You can only add it on Friday, but you have unitl 4/7 to redeem the offer. 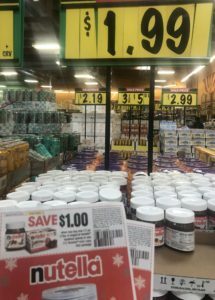 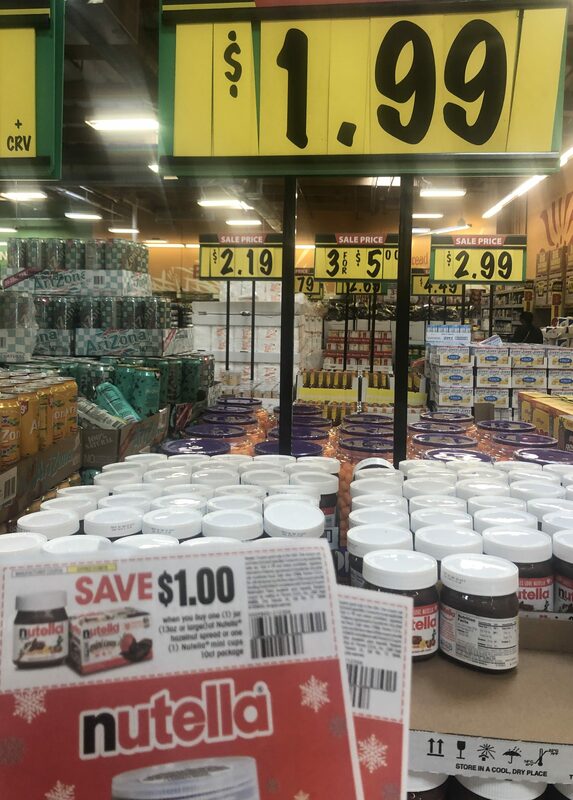 $.99 Nutella and FREE Crest Toothpaste at Foods Co Through 12/10! 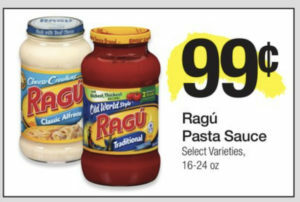 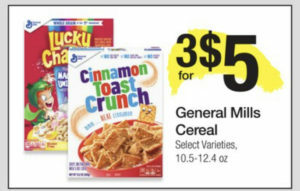 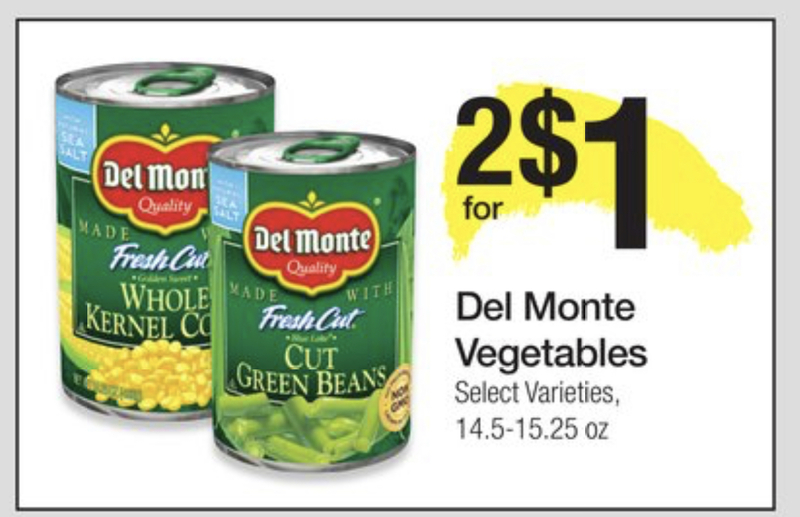 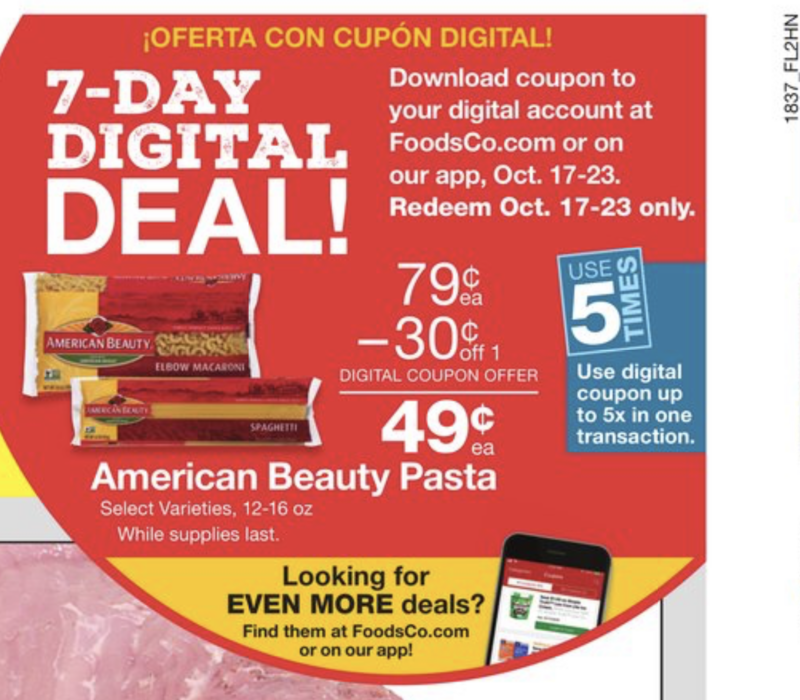 My Favorite 2 Deals at Foods Co this week! 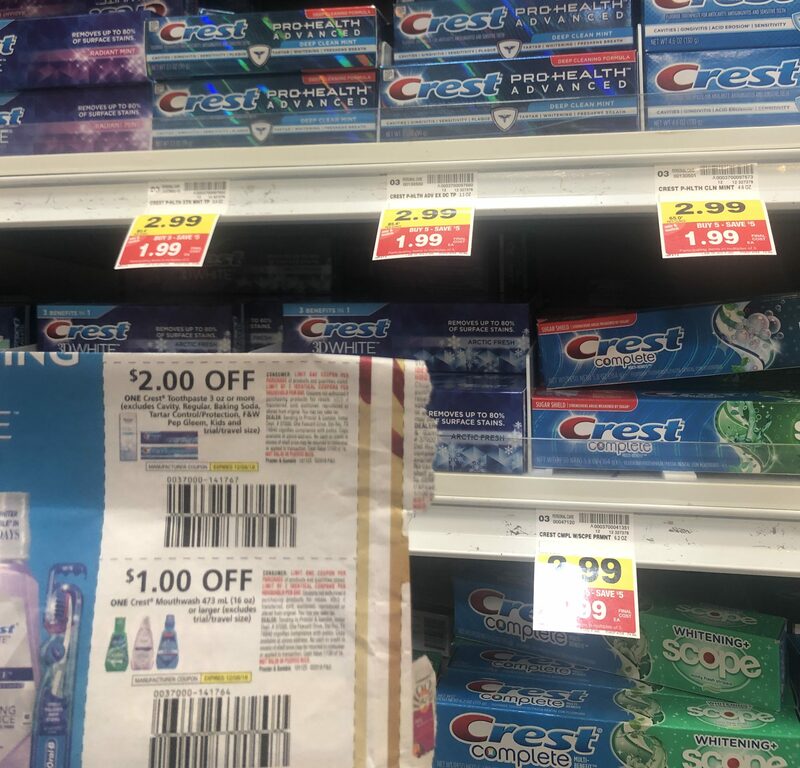 Check your receipts- a couple of my toothpastes did not ring up at $1.99 so had to adjust that. 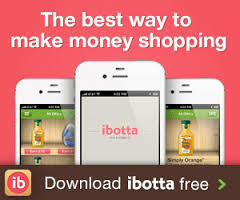 It is easier to catch it before you pay! Time to Stock Your Pantry at Foods Co With These Stock Up Prices! 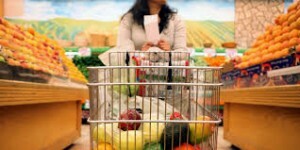 Here is a way to get your pantry overflowing by spending the least! 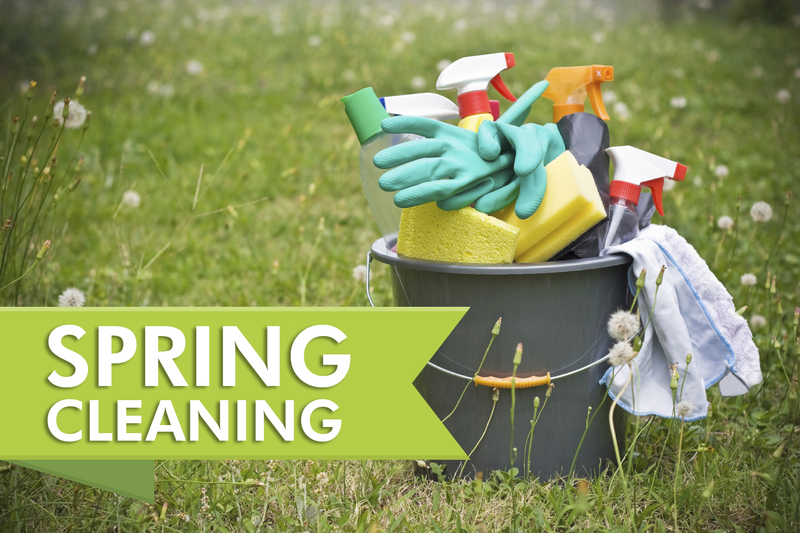 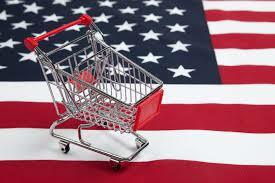 These items are at the LOWEST prices of the year! These items have LONG shelf lives, so you can buy enough to get you through unitl these deals next year. 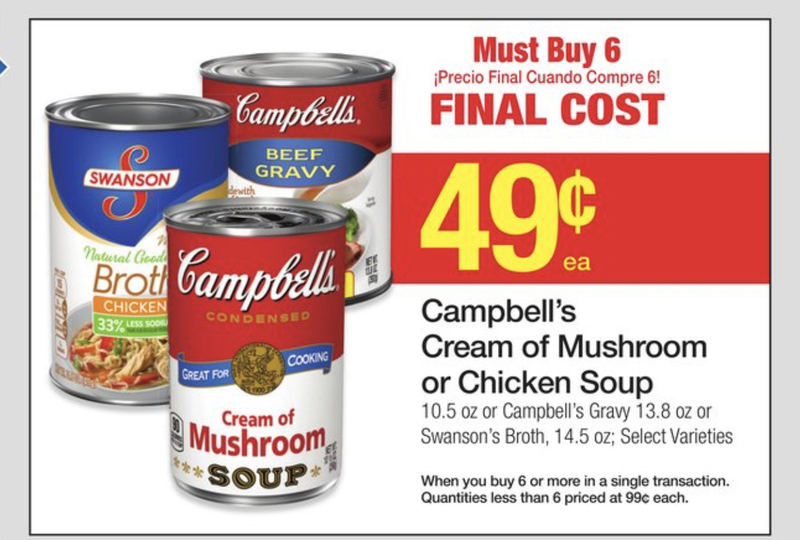 That is what I do with the cream Soups. I hate when I have to spend 2-3 times that amount later in the year!